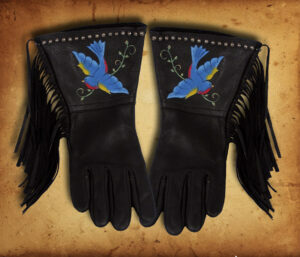 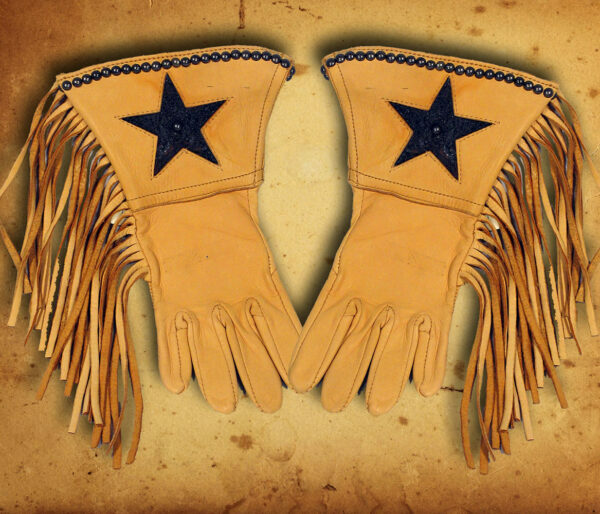 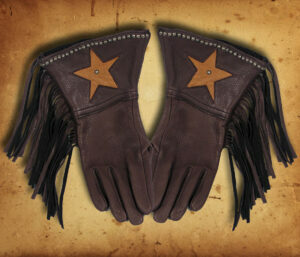 Gauntlet Glove in supple deer skin with appliqued Star stitched on the gauntlets and a flourish of fringe. 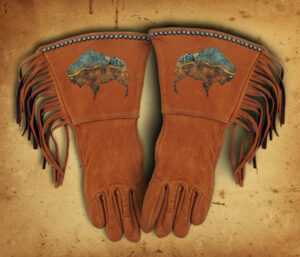 This soft leather will conform to your hand and become a part of you. 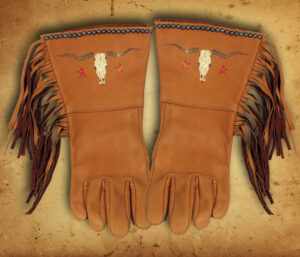 Great for trail rides, home town parades, and staying warm on wintry days. 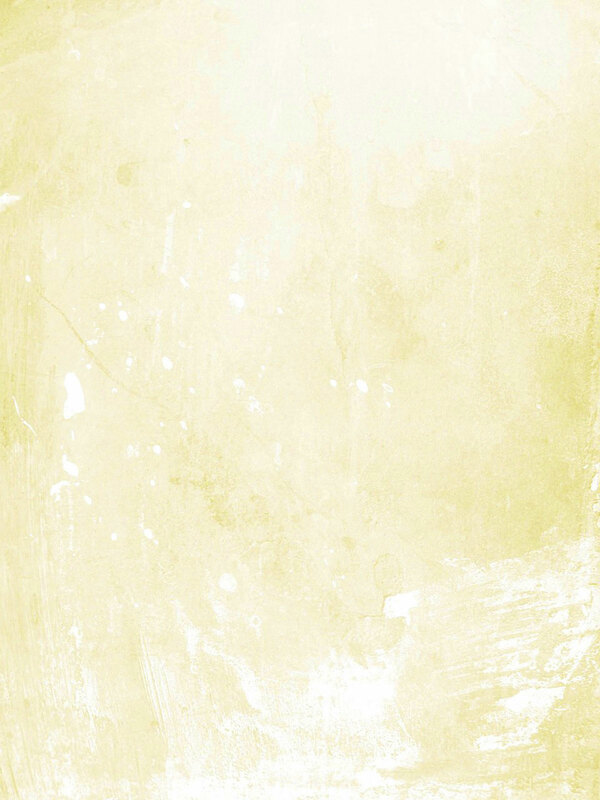 Shown in Gold.